Canada is playing a dodgy game in the Venezuela crisis. The Liberal government claims it wants to avoid violence. But at the same time it is calling on Venezuela’s military to launch a coup against President Nicolas Maduro. 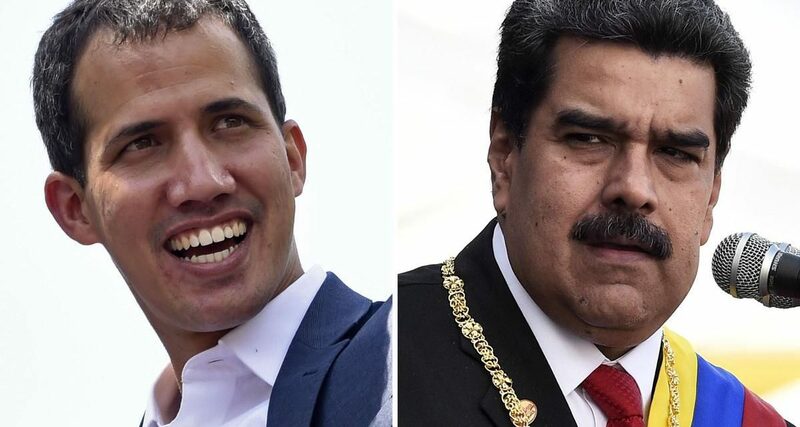 As well, Canada and 10 other members of the 14-nation Lima Group are rejecting a United Nations call for negotiations between Maduro and his main rival, self-appointed President Juan Guaido. In a communiqué issued Monday from Ottawa, they said they feared Maduro would use negotiations as a delaying tactic. The 11 — Canada, Argentina, Brazil, Chile, Colombia, Costa Rica, Guatemala, Honduras, Panama, Paraguay and Peru — instead called on Venezuela’s armed forces to mutiny and support Guaido. In particular they urged the military to stand aside at the borders and allow “humanitarian assistance” into Venezuela. Canada has said it would provide up to $53 million in such assistance. Guyana and St. Lucia didn’t sign the communique. Mexico, the 14th member of the Lima Group, still recognizes Maduro as Venezuela’s legitimate president and didn’t attend the Ottawa summit. The Lima Group likes to distance itself from the U.S., which has a well-deserved reputation for fomenting military coups in Latin America. But an American official sat in on the Ottawa meeting. As well, U.S. Secretary of State Mike Pompeo addressed the group via conference call. The U.S. has long wanted to get rid of Venezuela’s socialist president. Canada’s legal rationale for ousting Maduro is flimsy. Foreign Affairs Minister Chrystia Freeland argues that Maduro’s re-election as president last May was illegitimate. Thus, she says the Venezuelan constitution, which provides for an orderly succession in the event of a presidential vacancy, comes into play. Under that constitution, the president of the National Assembly — who just happens to be Washington’s chosen man Guaido — gets the top job. The problem with this argument is that the question of whether a presidential vacancy exists is deeply political. Maduro supporters, who voted overwhelmingly for him in 2018, say he is the president and there is no vacancy. Maduro opponents call him a usurper and say a power vacuum exists that only Guaido can legally fill. Was Maduro’s re-election in 2018 so flawed as to make the results illegitimate? That too depends on who’s talking. The Lima Group, which was founded in 2017 to oppose Maduro, announced even before the election was held that its results would be fraudulent. They based this on two things. First, some of the most popular opposition politicians, including Leopoldo Lopez, the head of Guaido’s Popular Will party, were barred from running. Lopez is under house arrest for his role in 2014 street riots that killed 43. Second, most of the major opposition parties called for a boycott of the election. Maduro supporters point out, however, that the elections themselves were relatively trouble-free. Election monitors from other parts of Latin America called the contests fair. So did a six-person Canadian monitoring team from Unifor, the United Church, the Canadian Union of Postal Workers, the Ontario Secondary School Teachers’ Federation, the news site rabble.ca and the leftish working group Common Frontiers. “We witnessed a transparent, secure, democratic and orderly voting process … and feel confident that the results of the election represented the will of the majority of Venezuelans who voted,” the Canadian team wrote. Overall, 46 per cent of Venezuela’s eligible voters turned out to cast ballots — far fewer than in the previous presidential election. Wise words. Too bad Ottawa isn’t listening.